Soccer Player Laser Crystal Award. 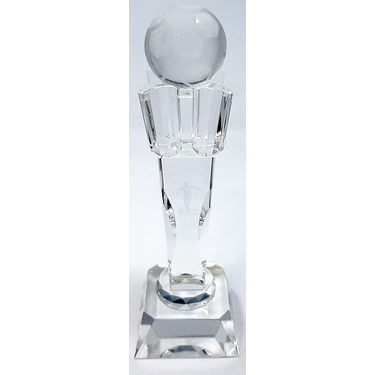 A beautiful trophy featuring a soccer player in a striking pose lasered into the centre and a glass soccer ball sitting on top. This crystal award is can be engraved on the base..